We live in a world where just simply doing a good job in your role is no longer enough. If a tree falls in the woods and no one hears it, does it actually fall? If we do good work and know our s*it, but don’t tweet about it, does it even matter? How do you build a personal brand without seeming over the top? I recently showed a group of super badass ladies from the Hispanic Bar Association of Pennsylvania and their guests how to get started on building their personal brand. Managing identities as both a woman and a minority make it difficult to grasp the concept of building a personal brand without feeling like one is bragging or being obnoxious. Studies show it’s especially crucial for women to be their own cheerleaders. In a male-dominated field such as law, it’s an especially sensitive art to master. In today’s society, it’s becoming increasingly important to not only do a good job in our work, but to also establish ourselves as industry experts and share our expertise to the twitterverse, instagrammers, and Linkedin connections. Through an effective personal brand, we attract clients, influence others, and become more respected by our peers for our work. Below are some takeaways from this session that will help other badass lawyer ladies build their personal brand and help them share their expertise outside of the office. 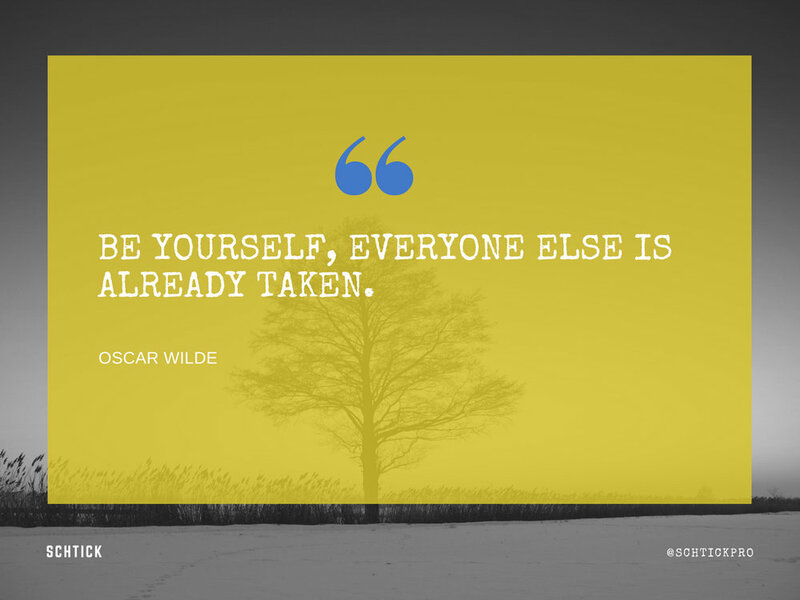 Be yourself. The most important part of personal branding is simple, but perhaps the most difficult. Be yourself. Your voice is your power, and I want you to make sure you’re leveraging yours in the best possible way. Having knowledge is one thing, but sharing it (in the right way) is what sets you apart as a real thought leader. Forward-thinking career and content strategist who gets to the point and uncovers your best self. English major geek. Recovering New Yorker. Bravo enthusiast. Mom of two boys who always have dirty faces. Getting Started. During a webinar hosted by Shewolf, founder Jordan Lacenski shared, “Your personal brand is what other people think about when they hear your name.” What do people think when they hear yours? You’re responsible for putting the information you want at the front of their minds. I asked the group if they wanted people to think of cheese fries, litigation, immigration law, or something totally different. There are a variety of ways to share knowledge and to connect with constituents. Making yourself visible is important! This can be through engaging in Twitter or engaging with the right people at your firm through networking events. Overall, to build a strong personal brand, you want to make sure you are choosing the right platforms (this can be within the virtual space, such as social media, or the real world, like meetings and conferences). Also, think about your message - what do you want to say? What are your expertise? What are your goals? This shows the reach of the popular platforms. Consider your audience. Who are your target clients? Where do you find them? Strategically reaching them is key. Remember to start small. Pick one platform that you think your audience is on and go full force. No one is expecting you to be a social media guru out of the gate. Work smarter. There are tools out there to help you schedule and manage your postings. Hootsuite is what I use. Feedly is a great way to aggregate content to find articles to post. Anything you can do to keep consistent, quality content will help you stay visible and interesting. Get in with LinkedIn. LinkedIn is a powerful tool in many ways. You can both target clients by having a compelling, searchable headline and share content through its blog feature. You can also make connections with the right people and participate in industry-specific groups. Get out there IRL. Folks need to see you to hear you. Get out there and not only attend conferences, but present at them. Join affinity groups and participate (or even organize) networking events. Whatever direction you go in, it’s important to take initiative beyond the everyday grind of your job. Invest time in yourself and in your interests. When in doubt think like a white man. So many women are apprehensive about putting ourselves out there in this way. Traditionally, white men don’t give a crap if what they say is compelling or interesting. Channel some of that confidence, while mastering the sharing of yourself. Have fun with all of this! Building a personal brand serves as a way to express your creativity, build meaningful relationships, create more visibility for yourself and your firm, and establish yourself as a true innovator in your field. Need help? Feel free to contact me for a free consultation! About the Blogger: Heather is an award-winning career consultant and content strategist helping people and organizations to find their schtick and make s*it happen. Visit www.schtick.pro to learn more about how you go beyond your resume to take your career to the next level.